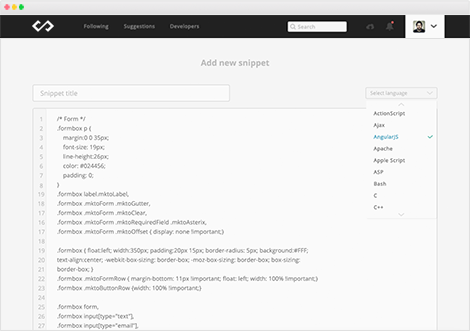 Codepad is a place for developers to share & save code snippets. 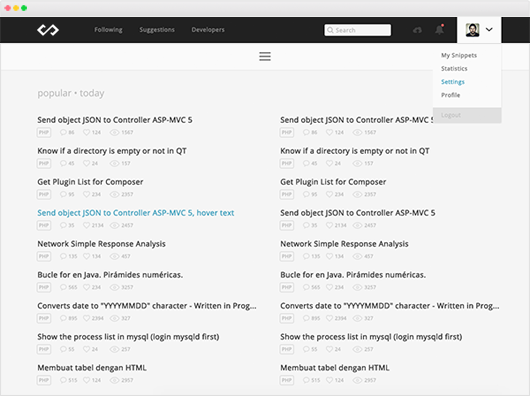 It's a remarkable community of developers that can help you with your code snippets to save time on your projects. 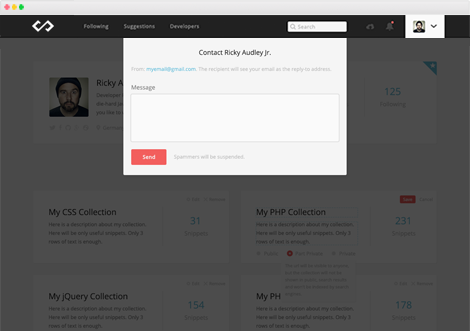 Share snippets with entire community. You can choose the programming language and the type of snippet: public, private or part private. 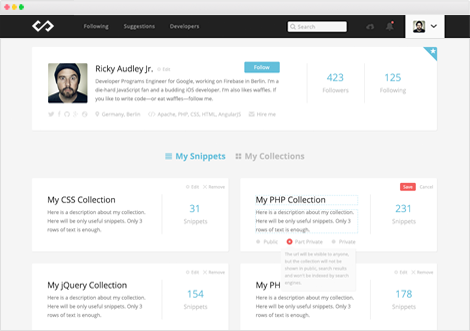 Organise your code snippets in a beautiful way, easy add and categories them in collections. You can follow and control the snippets version. Don't lose the previous written code. If you are a freelancer or a company you can receive the job or collaboration offers directly to your registered email. 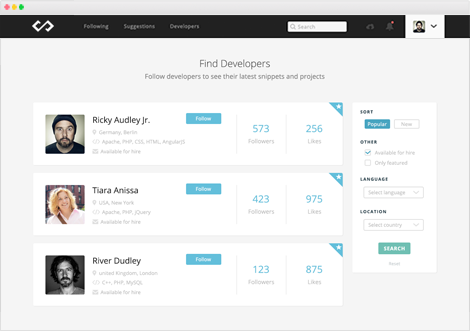 Find the best developers on Codepad and follow their profile. 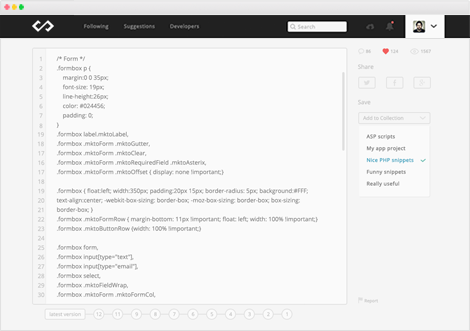 You will see their new code snippets directly in your timeline.